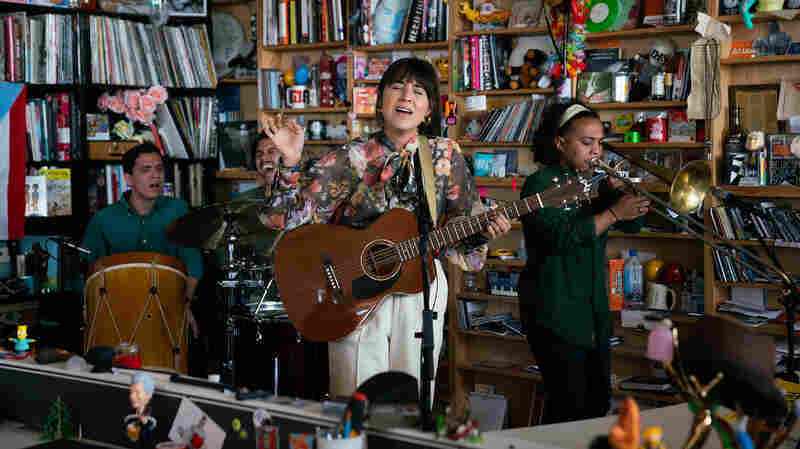 Landlady: Tiny Desk Concert Landlady's music is more than sonic exploration, it's an adventure. 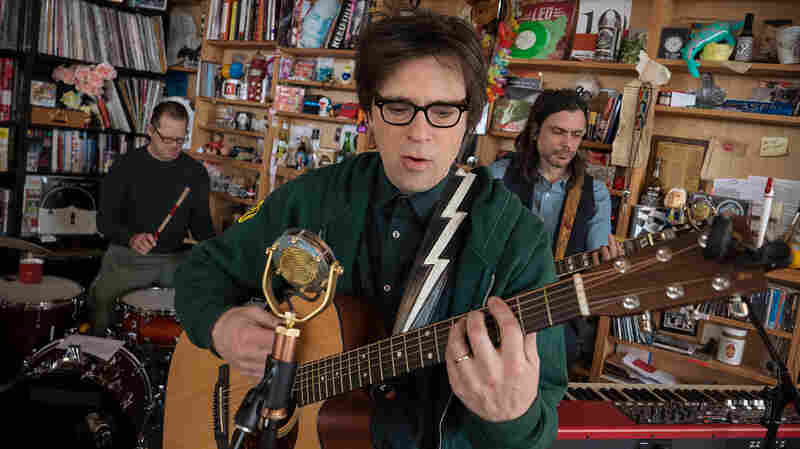 The songs can feel a bit drugged-out – a bit high and full of curiosity – but never overly intoxicated or out-of-touch. Landlady's music is more than sonic exploration, it's an adventure. 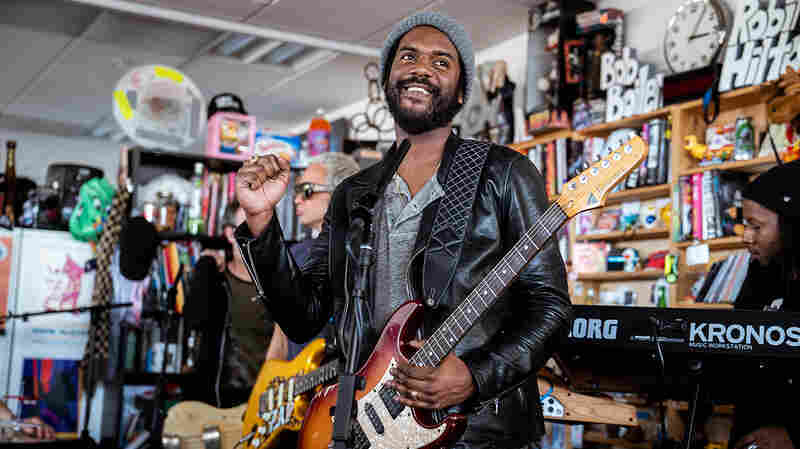 The Brooklyn-based band's songs are the initial creation of leader Adam Schatz, who observes the world with fresh, almost alien eyes. 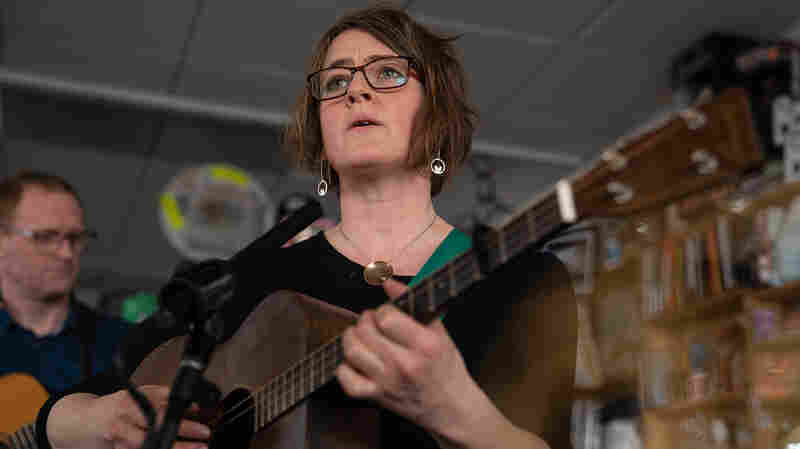 The songs can feel a bit drugged-out – a bit high and full of curiosity – but never overly intoxicated or out-of-touch. 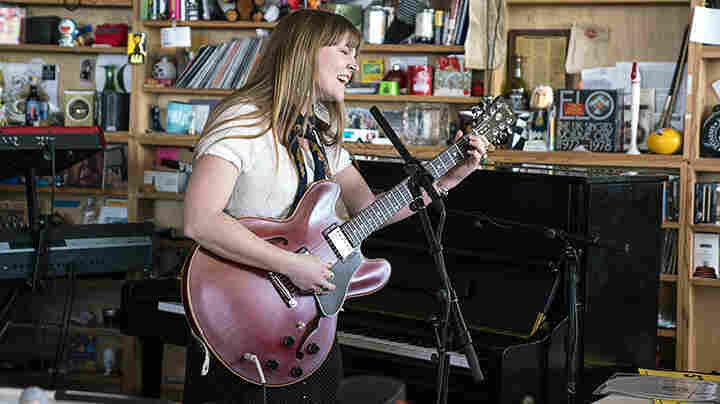 The opening track for Landlady's Tiny Desk performance, "Cadaver," has its origins in a friend of Schatz's who went to medical school, and the years she spent examining a single cadaver over and over and even more specifically about a tattoo on that cadaver's buttocks. Landlady is also a band of brilliant musicians who carefully craft their playing to serve the songs. Each player on their own might seem to be making quirky sounds or playing odd rhythms, but together they create head-turning tunes. 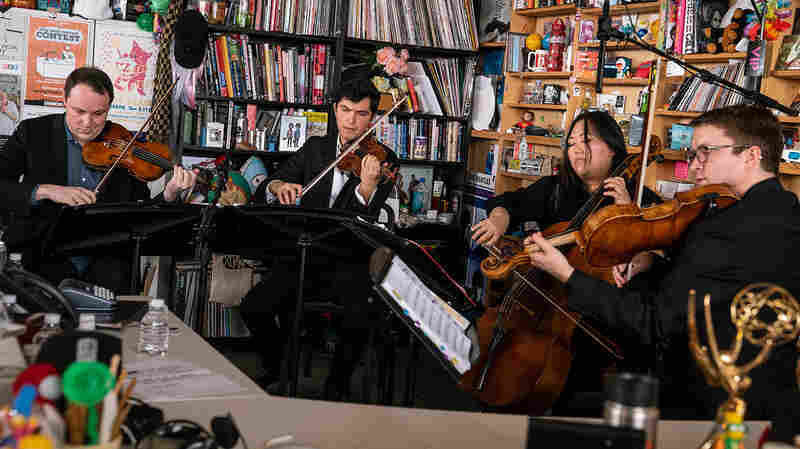 For their Tiny Desk Concert they came in as a foursome but also recruited the Washington D.C. string quartet, Rogue Collective to flesh-out their sound on the third song, "Electric Abdomen." 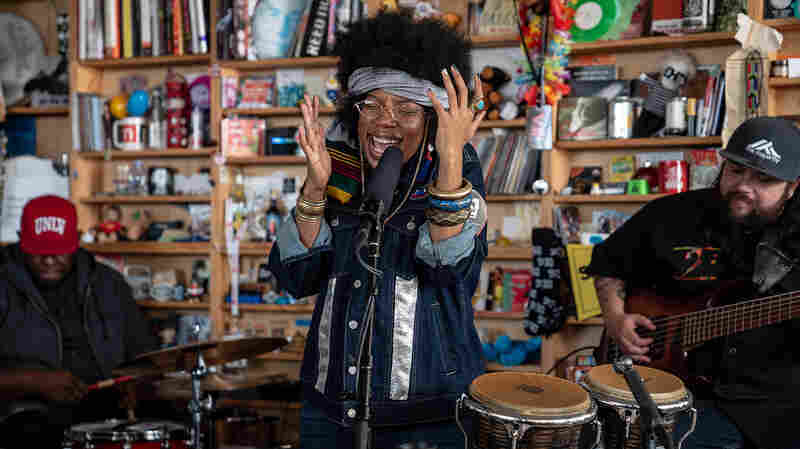 That cut, which seems to be about being uncomfortable in your own skin, sounds like it came from a long-lost tape from The Beatles during a session for Abbey Road, full of wonder and, like this Tiny Desk performance, worth digging deep into. 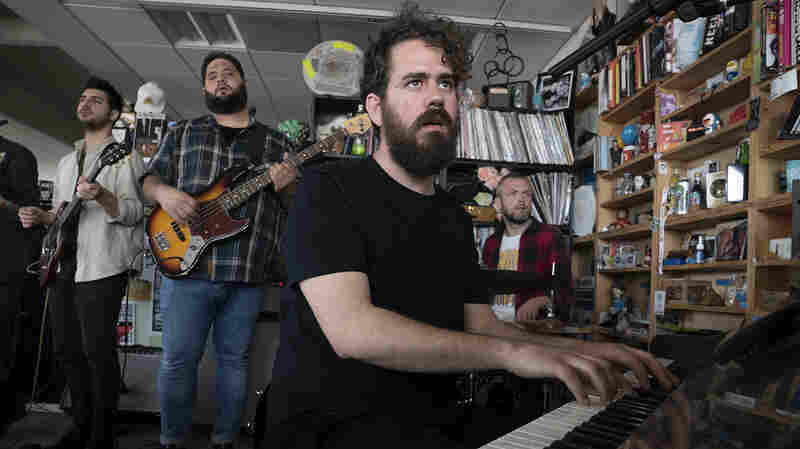 Producers: Bob Boilen, Bronson Arcuri; Creative Director: Bob Boilen; Audio Engineers: Josh Rogosin, James Willetts; Videographers: Bronson Arcuri, Colin Marshall, Maia Stern, Tsering Bista; Production Assistant: Jenna Li; Photo: Claire Harbage/NPR.